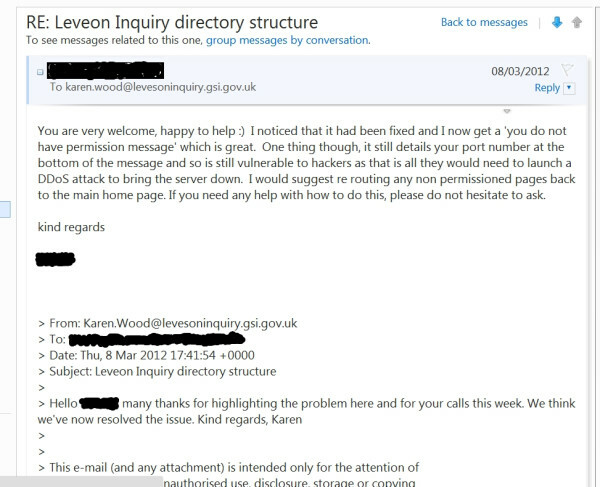 Brown Moses Blog: Did the Leveson website team ignore warnings about the risk of being hacked? Did the Leveson website team ignore warnings about the risk of being hacked? I have to admit, I noticed the wp-content folder and subfolders allowed directory listing a while ago. Didn't tell anyone, it was useful for checking when new stuff had been uploaded. They've fixed it now though. Thanks Brown for your latest work. Here are three images... Blair , Murdoch and father Bush all with Cardinal Edgar. Blair, Murdoch and father Bush are Papal Knights, stands to reason George is also. Like father like son !